This is the ham that started it all. S. Wallace Edwards began producing the Wigwam Ham back in 1926, using tried and true traditional methods to create richly flavored country hams that are salt-cured and hickory-smoked. 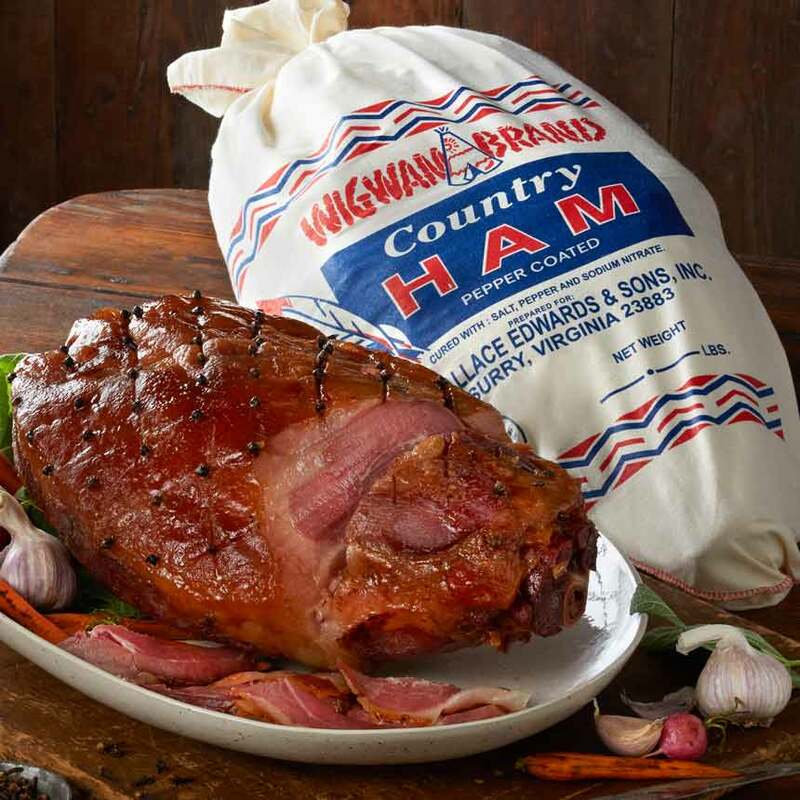 After 270+ days of aging, these wigwam country hams develop their signature intensity, loading each delectable bite with a full-bodied smoky flavor. 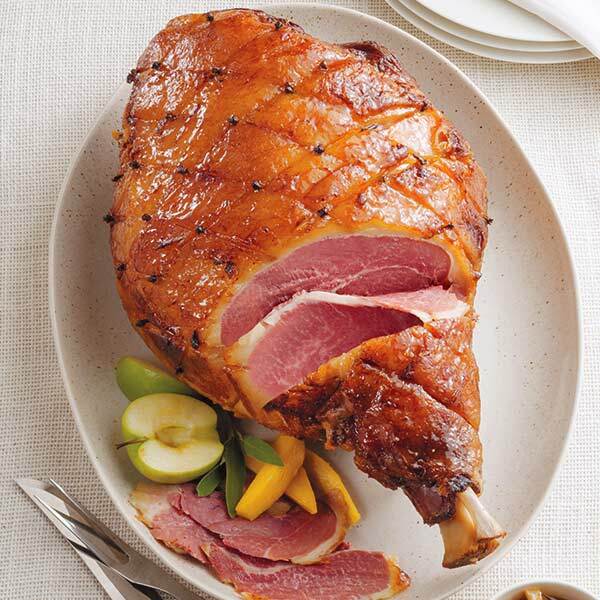 A favorite choice for country ham lovers everywhere, our hams arrive bone-in, cooked and complete with instructions for storing and preparing. CARVING Instructions: Use a very sharp knife to cut very thin slices. With ham fat side up, begin slicing about 2 inches from the hock, or small end of the ham. Make the first cut straight down. Slant the knife slightly for each succeeding cut. Decrease slant as slices become larger. SERVING Instructions: This product is ready to eat. For best results, slices may be gently re-heated or served at room temperature.